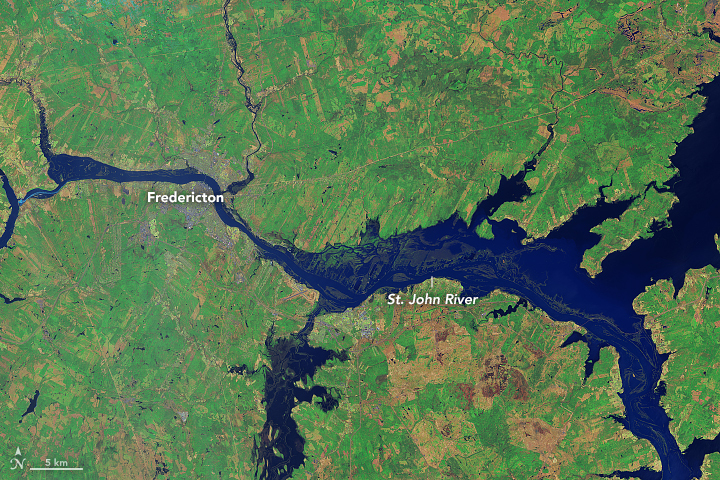 In springtime, the combination of melting snow and heavy rainfall can lead to dangerous inland flooding in New Brunswick, a maritime province on the east coast of Canada. 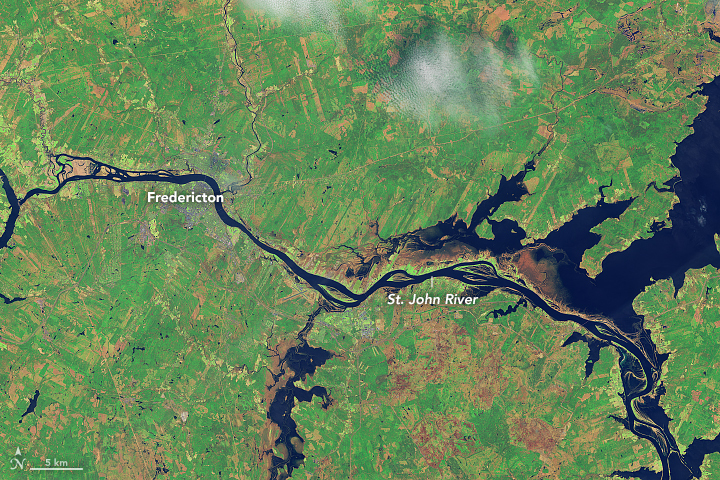 That was the case in April and May 2018, when conditions combined to produce historic flooding along the St. John River. 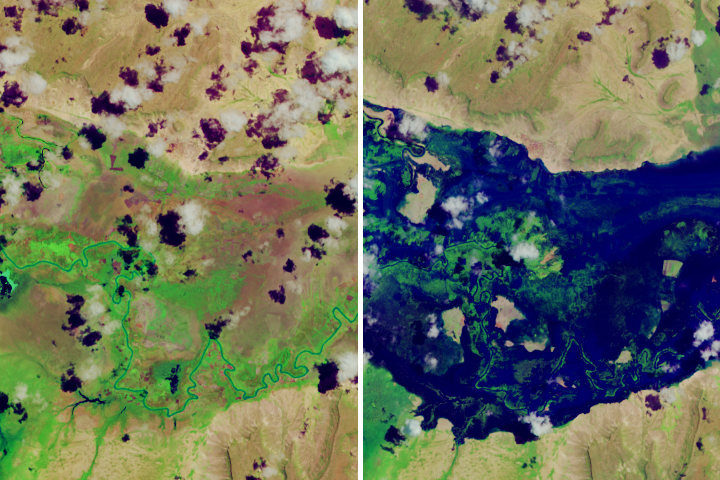 The Operational Land Imager (OLI) on Landsat 8 observed the swollen river on May 2, 2018 (top). 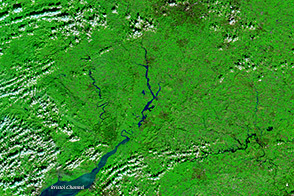 The second image shows the same area under more typical conditions on May 12, 2016. 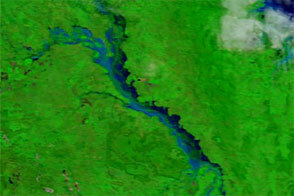 Both images are false-color (bands 6-5-3), which makes flood water appear dark blue. 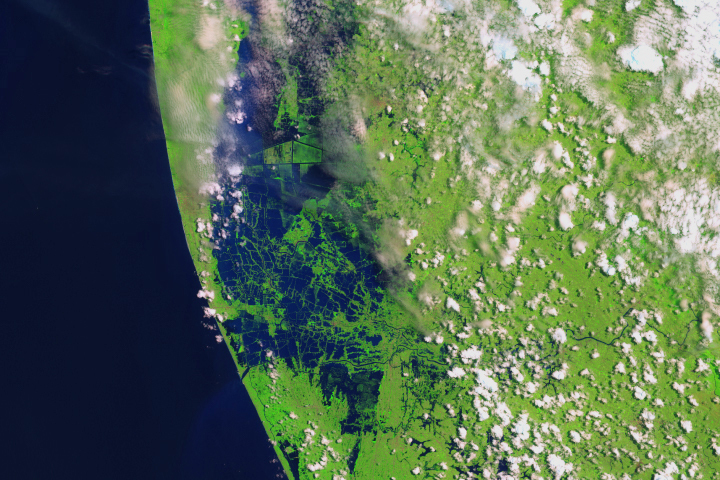 Vegetation is bright green. 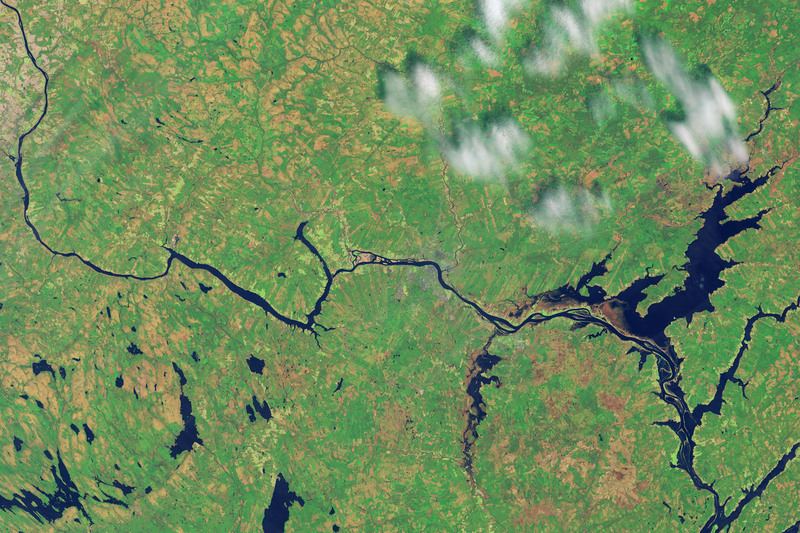 When this image of the flood was acquired, the water level near Fredericton had stabilized at 8.12 meters (26.6 feet), well above the flood stage of 6.5 meters (21.3 feet) for that part of the river. Meanwhile, water levels downriver were still rising. 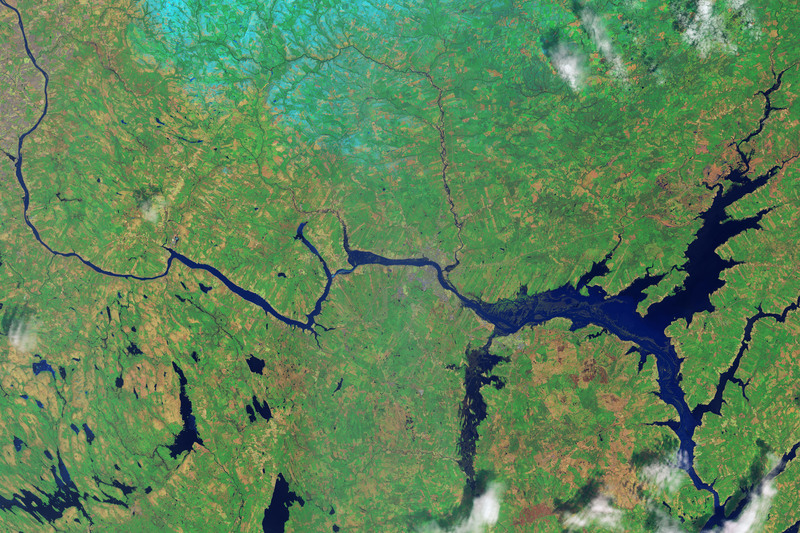 According to news reports, the 2018 flood was all about timing. 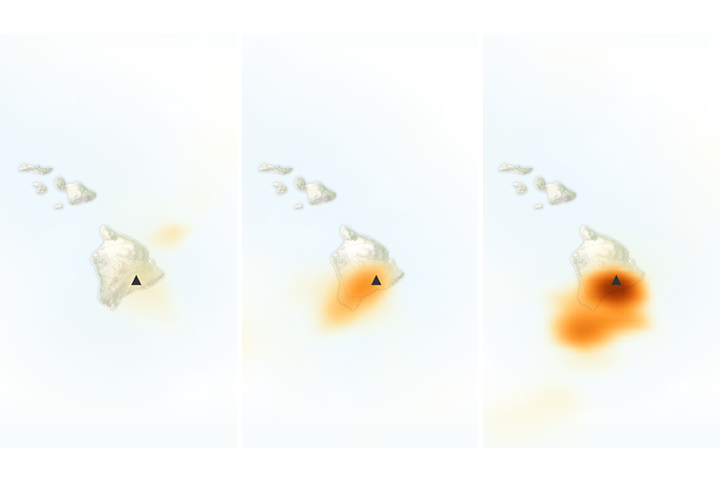 Temperatures rose rapidly at the end of April, melting a heavy late-season heavy snowpack and straining rivers with an abundance of melt water. 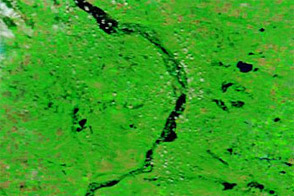 Water levels along parts of the river were comparable to or exceeded those measured during the spring flood of 2008—the worst to affect the region since 1973. The province has a long history of spring flooding, tracing back to the first written records in 1696. CBC Radio-Canada (2018, May 7) The one chart you need to see about the New Brunswick flood. Accessed May 9, 2018. CBC Radio-Canada (2018, May 4) New Brunswick flood: Water levels by community—and what to expect. Accessed May 9, 2018. CBC Radio-Canada (2018, April 30) Worst floods in New Brunswick history: how 2018 compares. Accessed May 9, 2018. Department of Environment and Local Government, New Brunswick (2018, May 2) Saint John River 5-Day Forecast. Accessed May 9, 2018.